Archive for the ‘Debt’ Category. When it comes to eliminating your credit card debt, paying the minimum payments will only mean that you are covering what is necessary to ensure a good standing order with your card issuer. But that is about it. 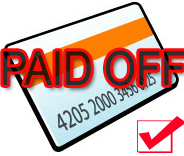 You are not getting ahead in terms of paying off the remaining balance on your credit card. Unless you are fine with this and don’t mind carrying a balance on your card for years and years to come, you need a new fighting strategy to reduce or eliminate your credit card debt all together. Notice the word ‘fight’: you have to be aggressive in your strategy otherwise you won’t get very far. One of the things you can do is to increase your payments, a little above the minimum required. But even that will only make a small difference. Once you have gone through this turning point, both your balance and interest charged will be significantly lower. From here on, and unless you can afford to take some bigger shots at your balance, you may continue to make payments that are slightly above the minimum required. But not much longer after, you need to create another turning point and reduce your balance to an even lower amount. Until your debt is down to zero or a very miniscule number. Again, the idea is simple: even if you are unable to make consistently big payments to eliminate your balance, you need to create these turning points, which help from a psychological boost. That is, when you make a payment that is much larger than the minimum required, you are convincing your brain that you are finally able to beat your debt and not be controlled by it for years and years. And as you see your debt going down-much faster than before-you will be motivated to finish it off even faster. 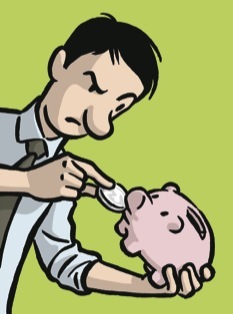 This active plan of attack on your debt will require some sacrifices on your part. Most importantly-as you have may have already guessed it-is to attempt to stop using your credit card, unless in extreme emergencies or very small purchases. You don’t need to walk one step forward and then take two steps backward. Your plan: Start your plan by designating a certain payday on the calendar, where you will make a large payment. After that, continue to make payments that are larger than the minimum required. After your debt has been reduced to a more manageable amount, schedule another date to make another big payment-at least 5 times the minimum. Example: Let us say your balance is $1800 and your minimum payment is around $60 (usually around 3% of the balance) . To make a difference and lower your balance dramatically, your ‘turning point’ large payments should be anywhere from $300 to $600 dollars, which could bring your balance well below 1500-1200. After that, continue to make payments that are at least $100. In 3 months, your balance could be down to less than $1000. At which point you should make another large payment that is 5-10 times the minimum payment. Say another $400. Eventually, you will see your balance well below $500, down all the way from $1800! Tip: to speed up your debt elimination, you can set a date on the calendar as a point of reducing your debt to zero, one that is not too close or too far, but gives your brain enough time to focus on the task.